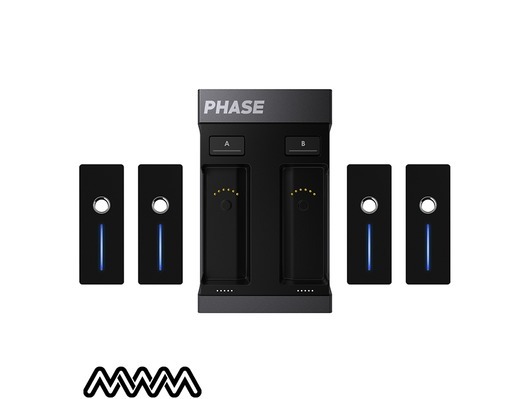 Presenting PHASE Ultimate; a brand new completely unique software built with the professional DJ in mind. The PHASE Ultimate is a completely wireless DVS controller that eliminates all of the pitfalls of using a traditional turntable cartridge. Because this sophisticated controller touches nothing but your vinyl while in use it can track even the tiniest movement, immediately reporting everything to your DVS software via its intuitive phase receiver, meaning a seamless flow of information between your software and your equipment. And if you're concerned about the battery life of the PHASE Ultimate, don't be; the Ultimate edition comes with two extra remotes with 10 hour usage when fully charged - that's up to 40 hours of uninterrupted music-making. 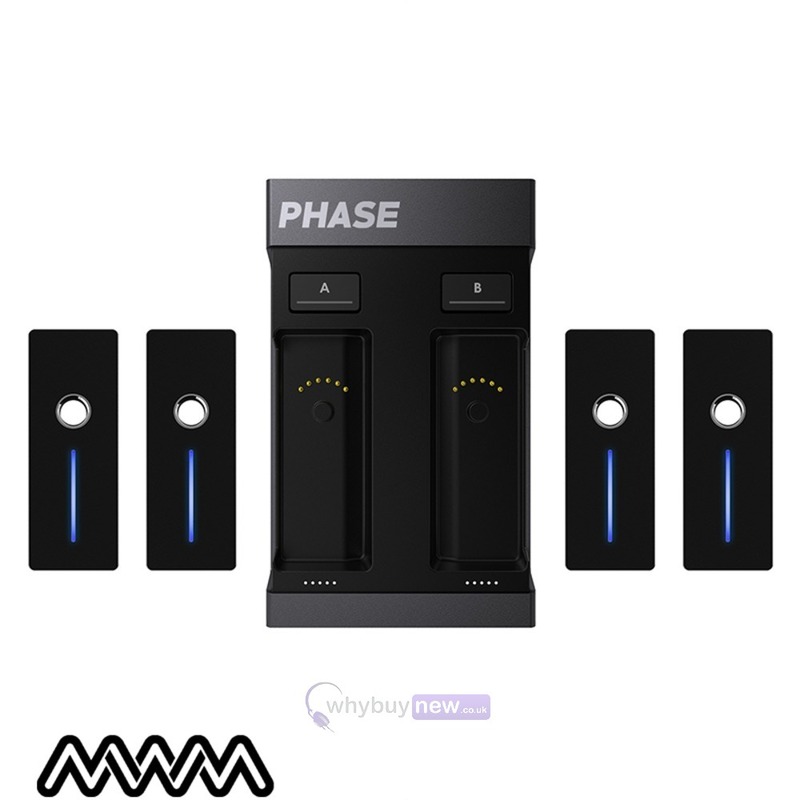 Phase is a 2-channel wireless controller that lets you control tracks playing from a DJ software without needing cartridges. A first-of-a-kind technology that offers a level of accuracy and steadiness never reached before. 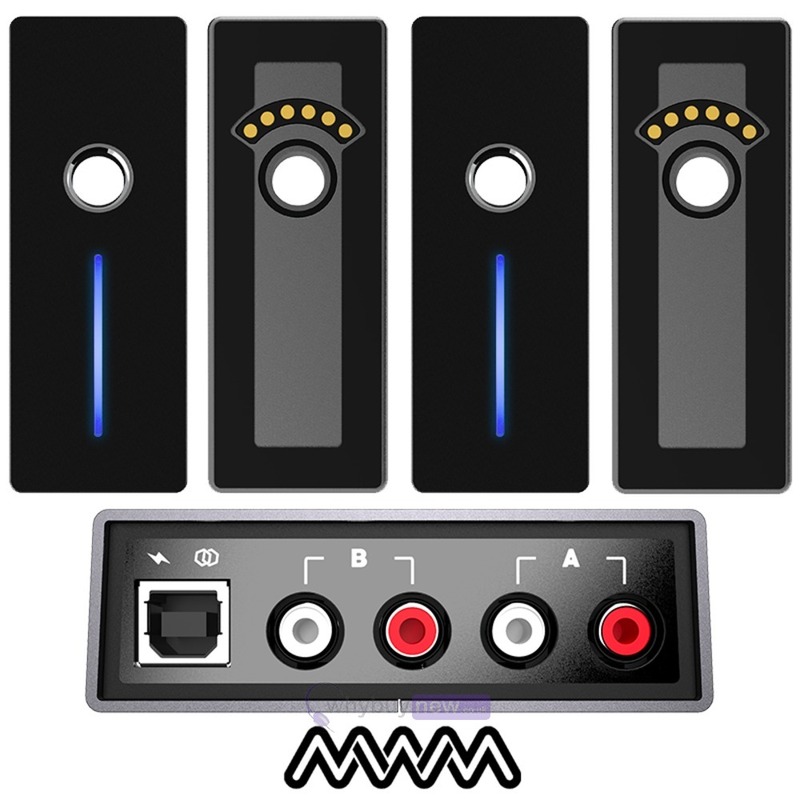 Easy-to-use and intuitive, Phase connects to your DVS interface through its 2 stereo RCA outputs, fitting any DJ setup. 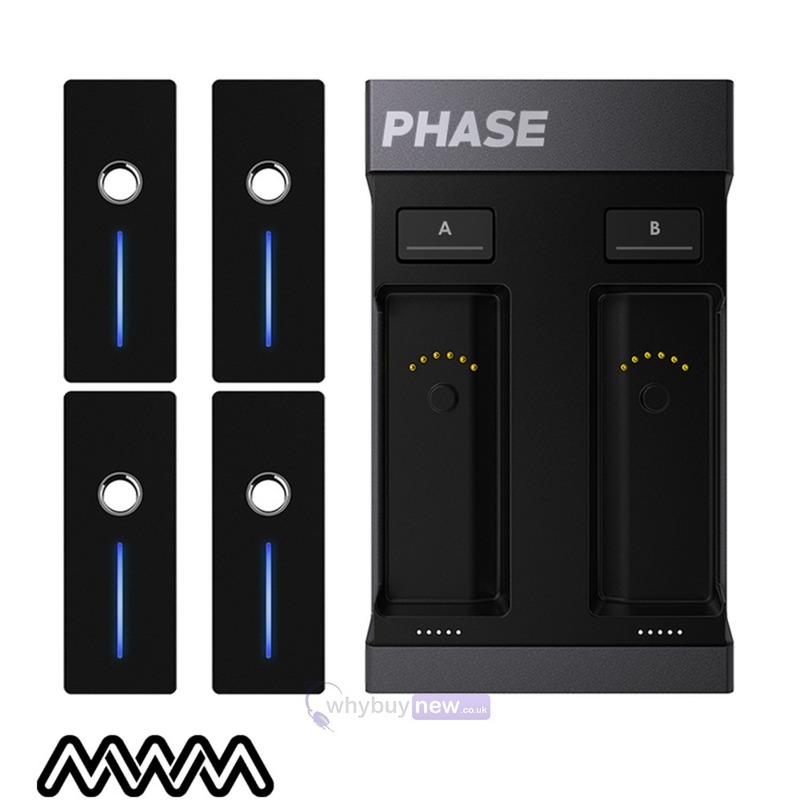 Phase Ultimate provides 4 remotes to allowing you to charge 2 remotes and perform with 2 remotes at the same time. The ultimate Phase experience for performers.